Yugoslavia would have been less susceptible to violent disintegration if, at the end of World War II, there had been a reconciliation between the nations and factions that had fought one another. All of them, and especially the most guilty ones, Croats and Serbs, should have admitted the mistakes and crimes committed since they entered the Yugoslav union and taken the steps necessary to prevent another conflict in the future. The enormity of the crimes committed by various parties made such action urgent. One of the communist Yugoslavia’s most popular slogans was “brotherhood and unity,” but the lies launched by the regime played a crucial role in undermining whatever feeling of brotherhood and unity that had emerged in the struggle against foreign occupiers during World War II. The most fatal of the lies spread by communist Yugoslavia’s propaganda machine consisted in false accounts of World War II victims. Huge exaggerations of the number of war victims were launched to magnify Yugoslavia’s losses in the Second World War and thus obtain larger war reparations payments, hide the extent of the crimes committed by the communists, and portray the latter as saviors both from external aggressors and from genocidal policies of domestic nationalists. Yugoslav authorities gave the figure of 1,706,000 Yugoslav war victims to the International Reparations Commission in 1946, without any documentation. It is not known how they arrived at this number, but on the eve of the 1947 Paris Conference on Reparations, the Federal Bureau of Statistics in Belgrade ordered a new employee, the second-year mathematics student Vladeta Vuckovic, to compute “a significant number” of war victims, and gave him two weeks to do so. Vuckovic estimated the number of wartime losses to be 1.7 million. The number did not denote real war victims, that is, people who were killed or died of war-related causes. Instead, it represented an estimate of demographic losses, that is, the difference between the population after the war and the projected population that would have been reached had there been no war. Never-conceived children were included in these losses. This important distinction was ignored, and 1.7 million remained the officially approved figure of Yugoslav war victims. Many party and government officials were not aware of the magnitude of the distortion, or even that there was a distortion at all. However, a compilation of data on war victims made in 1964 provided a clear proof of the extent of the misrepresentation. The Federal Republic of Germany requested the compilation in order to finalize the agreement about the financial compensation for Yugoslav war victims. The Yugoslav government ordered the preparation of the list of war victims in June 1964, and by November the data were collected [usually it would take years to complete the project, but they 'finished it' in few months!]. When they were processed in Belgrade in August 1966, they caused consternation because it turned out that the total number of Yugoslavs who died due to war actions and persecutions by the Axis forces and their collaborators (but excluding the victims of the communist-led forces) was lower than 600,000. When a review of the data produced only minor corrections, access to them was highly restricted, although they were given to the FRG. Yugoslavia’s communist regime continued operating with the figure of 1.7 million even after it had been made obvious that it was an enormous exaggeration. Even in postcommunist Belgrade, access to the data on the 597,323 victims has remained restricted. The data were finally published in 1997, but in a very limited edition with a controlled distribution. 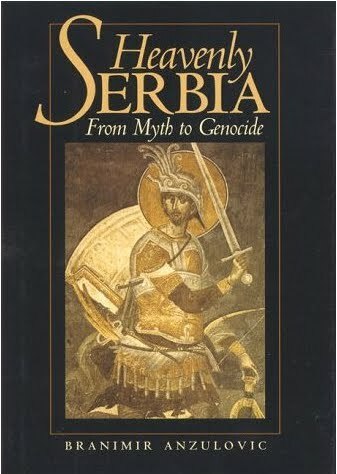 Bureau of the Census concluded in their 1954 study, on the basis of census data, demographic trends, and additional information, “that 1,067,000 persons in Yugoslavia lost their lives as a direct or indirect consequence of the war.” Two other researchers arrived at very similar conclusions in the 1980s. The Montenegrin Serb émigré Bogoljub Kocovic published his study in London in 1985, while the Croatian Vladimir Zerjavic, working independently, published his in Zagreb in 1989 (when it became possible to publish such a study in the former Yugoslavia). These studies still provided the most reliable information on World War II losses in Yugoslavia. According to Kocovic, total demographic losses in Yugoslavia amounted to 1,985,000 (Zerjavic’s figure is 2,022,000). By deducting from this number the losses caused by the drop in the birthrate and by expatriation, Kocovic arrived at the number of 1,014,000 (Zerjavic: 1,027,000) actual war victims from the territory of the former Kingdom of Yugoslavia. By further deducting the victims who were members of ethnic minorities, Kocovic estimated the number of war victims among the constituent nationalities of the country – Croats, Macedonians, Montenegrins, Bosniaks (Muslims), Serbs, and Slovenes – at 869,000. This figure is larger than the one arrived at in 1964, because it covers all categories of victims, including those regarded as collaborationists. The differences between Kocovic and Zerjavic are insignificant in comparison with the difference of about 700,000 between their estimates of actual losses and the official figures from the Yugoslav communist regime. This discrepancy provided a fertile ground for various Yugoslav ethnic and political factions who took advantage of the phantom victims and the lack of documentation to produce inflated figures of their own losses. Thus Croats spoke of at least 300,000 Croatian casualties of the “Bleiburg massacre” by the Yugoslav army, while the real number is probably under 50,000. The Bosniaks (Bosnian Muslims) also spoke of a loss of 300,000 lives in their community. But the Serbs were most extreme in the numbers game: they accused Croats of having massacred 700,000 or more Serbs in one concentration camp alone. Exaggerated claims of the number of war victims by various Yugoslav nationalities were published in ethnic émigré publications abroad. Within Yugoslavia, their dissemination was mostly oral. However, due to the Serbs’ dominance in federal institutions in Belgrade – the capital of Serbia as well as Yugoslavia – and their disproportionate political influence in Bosnia-Herzegovina and Croatia, inflated accounts of Serbian wartime losses were propagated more openly, even through official channels. The few researchers free of mythomania have arrived at far lower numbers of Jasenovac victims. The above-mentioned demographer Vladimir Zerjavic estimated that the approximate total number of people killed at Jasenovac could be around 100,000, and that approximately half of them were Serbs, the rest consisting mostly of Jews, Gypsies, Croats, and Bosniaks (Muslims). In the second edition of his study of World War II victims in Yugoslavia, Bogoljub Kocovic, using a method different from Zerjavic’s, arrived at the figure of about 83,000 victims who lost their lives at the Jasenovac camp. Antun Miletic, a researcher at the Military Archives in Belgrade, has collected data on the inmates killed at Jasenovac camp since 1979. One source of his information is lists of persons compiled in ever village, town, and city in Yugoslavia, except for Macedonia and Slovenia. He has complemented these findings with the results obtained by various commission on war crimes, and claims to have a list of 77,200 identified victims, of which 41,936 are Serbs, but the list has not been published. Miletic has expressed the opinion that the total number of victims could be substantially larger, stressing that his research did not cover Macedonia and Slovenia. However, very few people from these two areas – probably less than one hundred – lost their lives at Jasenovac. Moreover, the number of victims he has identified is very close to Zerjavic’s and Kocovic’s estimates, and all of them are proportionate to reliable estimates of the total number of World War II victims in Yugoslavia. The outside world could have restrained the manipulations of the number of Yugoslav war victims – and mitigated their consequences – by not accepting them. An examination of widely available Yugoslav census data would have indicated gross misrepresentation. Moreover, as stated above, the results of such an analysis by two American demographers have been available in a U.S. government publication since 1954.